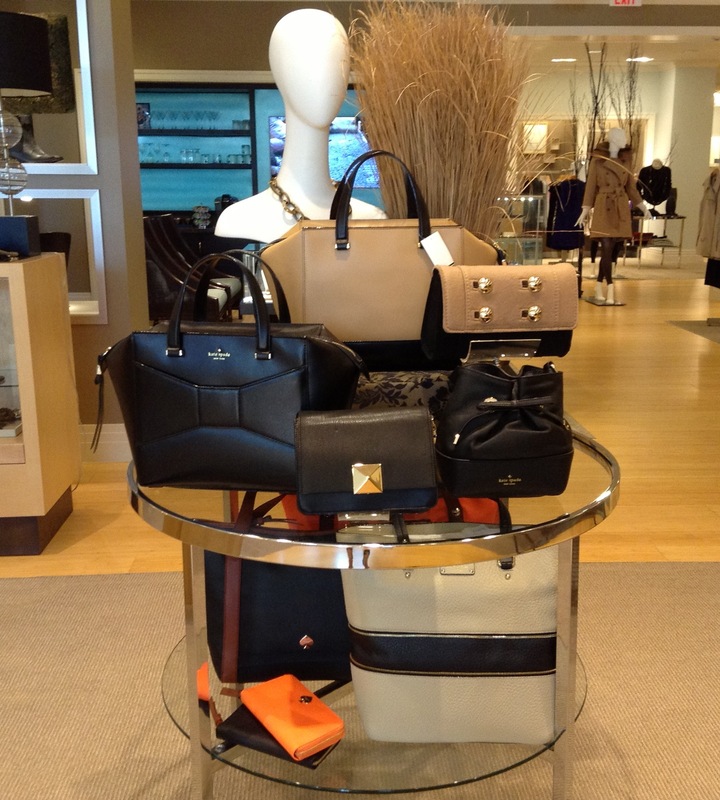 It’s time to indulge in a new handbag! I’m sure that’s music to your ears and most everyone will be compelled to comply with my directive (without any complaining)! 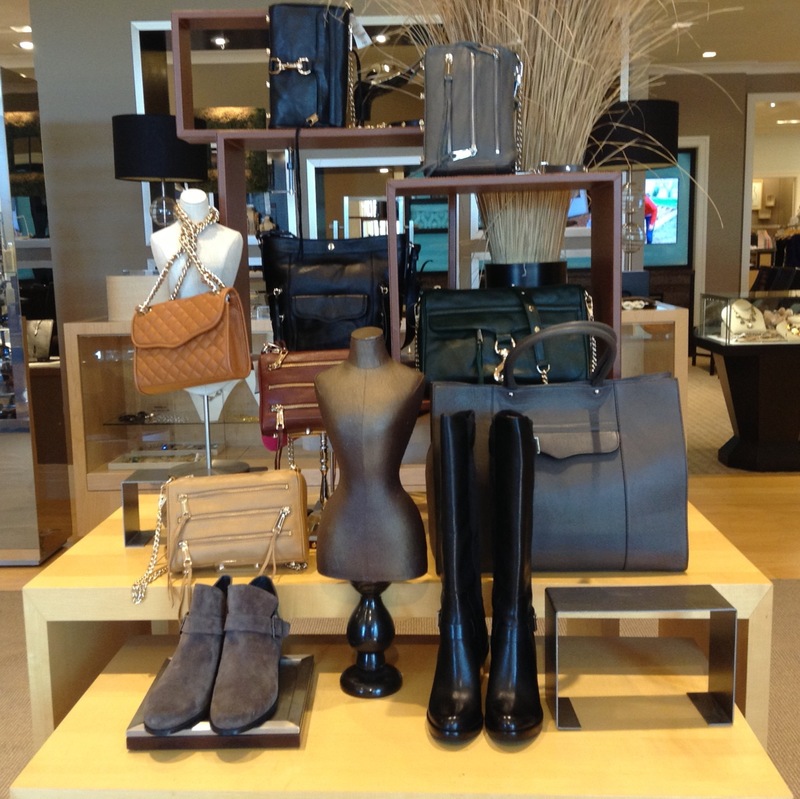 However, I thought I might take a moment to give you a little insight into the fall trends for handbags. We are seeing structured silhouettes, texture and color-blocking. One of my favorite structured shapes is the trapeze with its signature hard bottom and short handles. Kate Spade did it really well this season (pic 3) and added texture and color-blocking with this fresh shape. What great looking bags! Texture can come in the form of quilting, embellishments, contrasting materials, decorative zippers, fur and more. Rachel Zoe (pic 1) and Rebecca Minkoff (pic 2) were right on trend this season with their assortments as you can see. 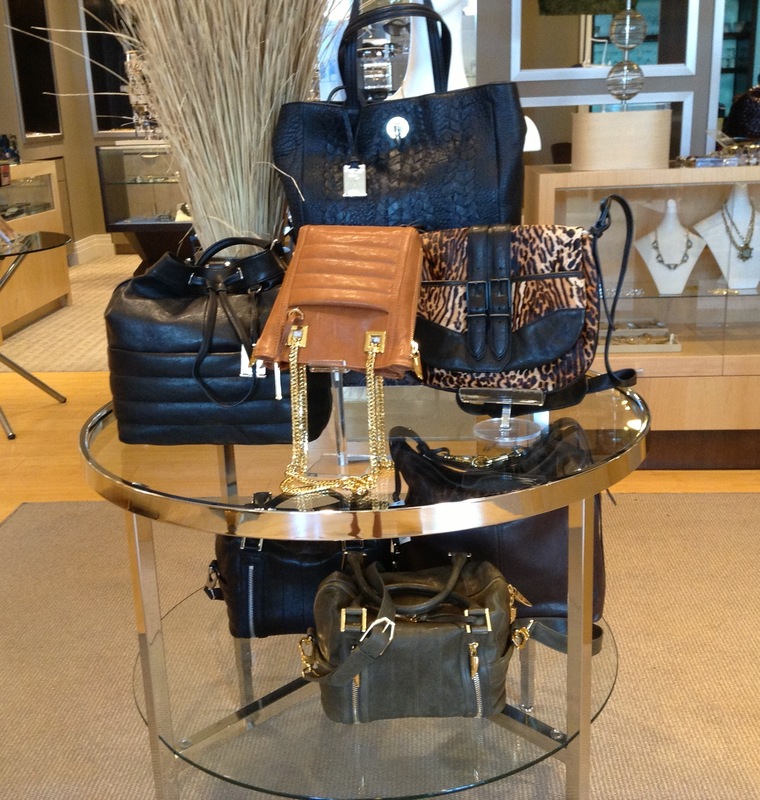 By the way, this is our first season to have Rachel Zoe handbags in store and we are so excited…. each one has a total “wow” factor! Color-blocking adds visual interest to any handbag shape. There has been a tendency to be afraid of having multiple colors in your bag because of it not matching your shoes. This season, there is a definite trend to have your handbag contrast with your shoes….so don’t lose sleep over the matchy-matchy thing….just pick a handbag you love! Whether it’s a structured silhouette, tote, hobo, messenger bag or clutch; I know you will look fabulous carrying which ever new bag you select!